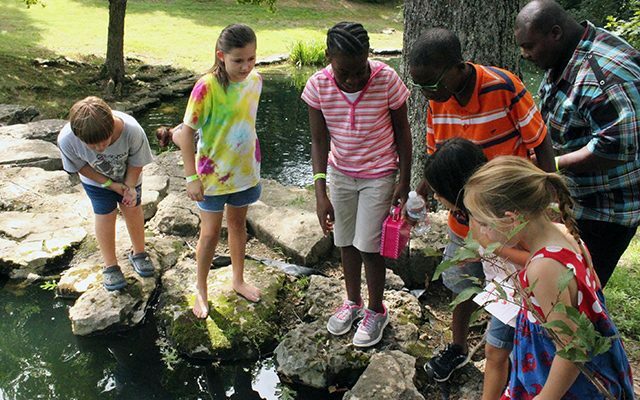 Engage students in art, history, and botanical gardens with a field trip to Cheekwood. Cheekwood offers FREE ADMISSION for teachers and students with school groups from Tennessee, Southern Kentucky and Northern Alabama. 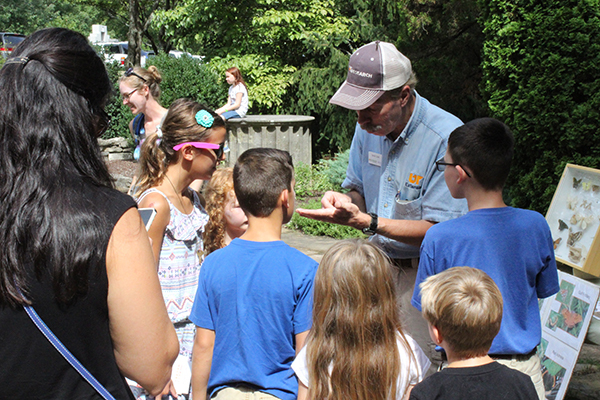 Students in grades pre-K-12 can explore the botanical gardens, experience the historic Cheek mansion, and tour art exhibitions in the museum galleries. Guided tours are grade level- and subject area-appropriate and are aligned with Tennessee Academic Standards. • Tours are available Tuesday – Friday, 9:00 am – 5:00 pm. • The minimum group size for scheduling field trips is 10 students. Groups smaller than 10 students must pay regular admission prices. • The maximum group size for guided tours is 80 students and 150 for self-guided tours. Larger groups will be asked to schedule their tours on separate dates. • Students and teachers are admitted free of charge. Adult chaperones (non-school employees) are required to pay the group rate of $16/person. • Each guided tour lasts between 30 minutes to one hour. Self-guided tours are self-paced and can take anywhere from 30 minutes to two hours. • Advanced reservations are required for all guided and self-guided tours. • Teachers may be asked to present their teacher ID upon arrival. Cheekwood reserves the right to cancel guided tours in the case of rain and/or inclement weather. Cancelled tours will be notified one day in advance of the scheduled tour date and will be given the opportunity to reschedule. Due to construction, we currently do not have the capacity to host field trip groups indoors. If you fear rain may interfere with your group’s outdoor experience, please contact Rachel to reschedule. Contact Rachel Head at rhead@cheekwood.org if you have any questions. Grades 3-5 Cost: FREE! Capacity: up to 120 students Art Outreach brings Cheekwood-inspired, hands-on art and science lessons to your school. 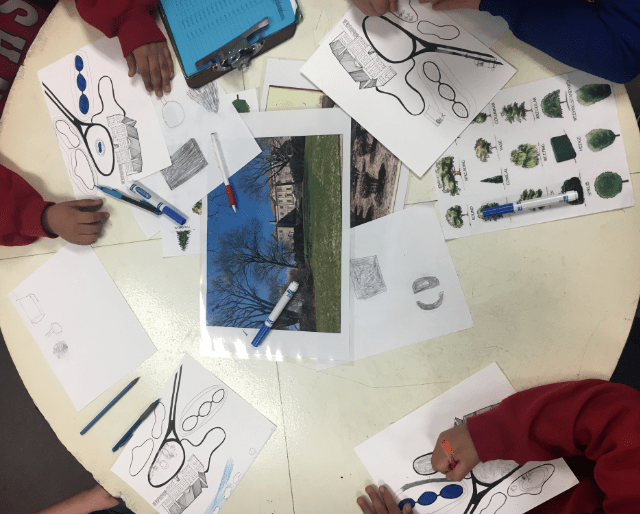 During Art Outreach, students will explore landscape architecture by learning about Cheekwood’s history and dive into Cheekwood’s permanent art collection by critically examining selected pieces. Additional stations focus on temporary art and seasonal garden exhibitions. After rotating through these Cheekwood teacher-led stations, students bring home their masterpieces at the end of the day. During the 2018-19 school year, 100% of teachers that participated in this program said that Art Outreach satisfied or exceeded their expectations and that they would recommend it to their colleagues. 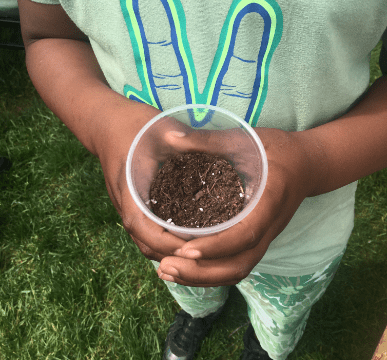 During this program, students are brought to Cheekwood for a day of hands-on plant and animal science activities in the gardens. The program is offered at no cost to schools; Cheekwood pays for bus transportation and admission for teachers, students, and chaperones. K-8 students and their families Cost: FREE! Capacity: up to 120 people Destination Cheekwood brings families to Cheekwood on a Saturday for a visit filled with art, garden, and historical experiences and activities. Transportation, admission, activities, and lunch are provided, giving families the opportunity to enjoy the best of Cheekwood’s seasonal festivals. Click the button below to submit an application form. The Destination Cheekwood Program is supported, in part, by The Robert K. and Anne H. Zelle Fund for Fine and Performing Arts of the Community Foundation of Middle Tennessee. The Alliance for Young Artists and Writers, a national nonprofit organization, was established in 1994 to provide guidance and support for the next generation. The Alliance fosters the creative development of youth across the country through The Scholastic Art and Writing Awards, the most prestigious recognition initiative for creative teens, and the largest source of scholarships for young artists. Alumni of the Scholastic Art Awards include artists Andy Warhol, Philip Pearlstein, Cy Twombly, Robert Indiana, Kay WalkingStick, Mozelle Thompson, Hughie Lee-Smith, and John Baldessari. For the 28th consecutive year, Cheekwood is proud to present the The Middle Tennessee Scholastic Art Awards. This year, over 700 Middle Tennessee students in grades 7-12 submitted over 1,800 works to be considered for recognition. The exhibition displays the Gold Key and Silver Key award recipient pieces, honoring the artistic talent and innovation of area students.